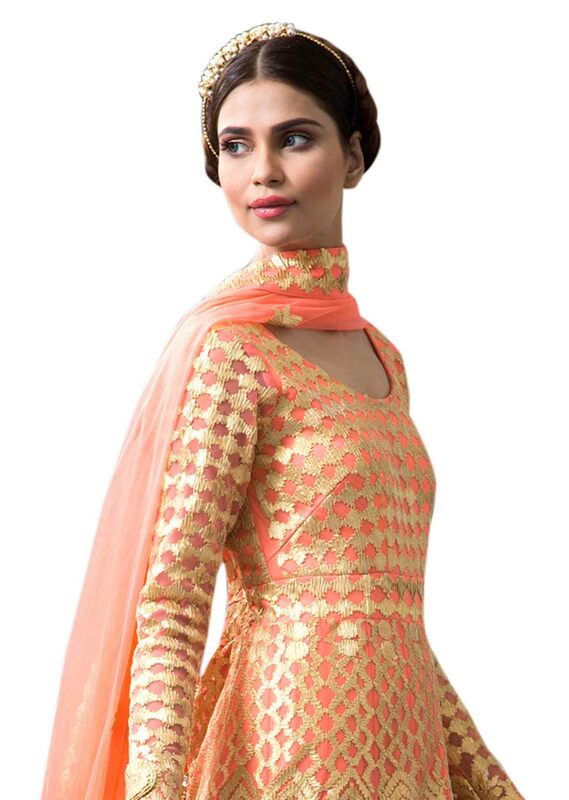 Peach anarkali suit featuring in net. 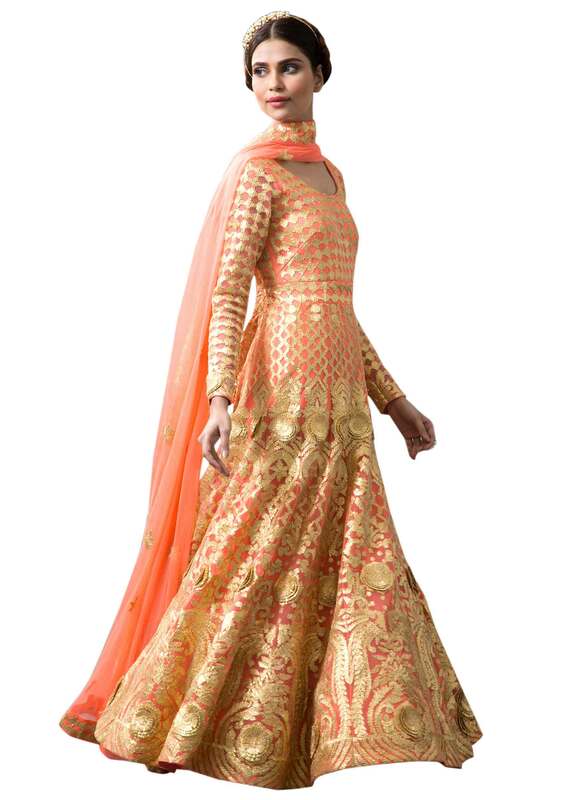 Its embellished in gotta patti lace all over. Matched with churidar and net dupatta.